Jack Frost nipping at your nose? 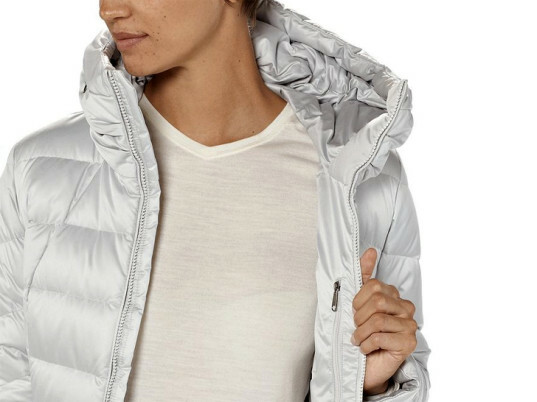 From jackets made from recycled fishing nets to repurposed toppers derived from post-consumer plastic bottles, here are 11 eco-friendly toppers that put the "win" in "winter." Clad in weather-resistant recycled polyester, Nau’s pullover-style “Allee” features 650-fill goose down, a drawcord funnel neck, and two front hand pockets for maximum warmth. You can even roll down the three-quarter sleeves for extra coverage. Plus, Nau donates 2 percent of every sale to a Partners for Change charity of your choosing. Lauded by People for Ethical Treatment Treatment of Animals for its cruelty-free spin on insulation, The North Face’s “Thermoball” collection uses a system of synthetics to provide the equivalent warmth of 600-fill goose down. The quilted parka’s mid-thigh length is built for tundra-trudging, while the cinched drawcord makes for a flattering fit. Winter warriors rejoice! 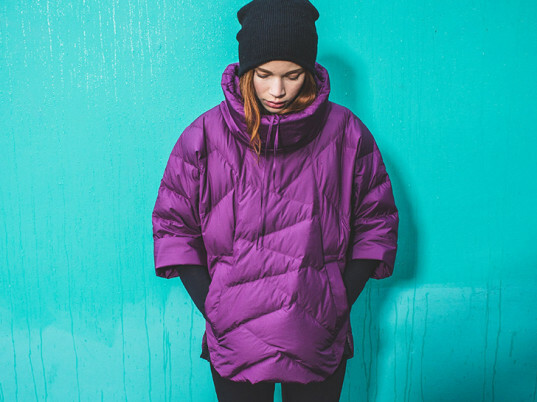 Ecoalf’s down-insulated “Uma” coat checks all your chill-chasing boxes. It even wins points with Ma Nature: Each garment comprises the equivalent of 150 recycled plastic bottles. Derived from fabrics that would otherwise be discarded, the “Berryessa” jacket by Swellas features a full liner, a weather-resistant outer shell, and medium-weight fill to keep you extra-snug. Even better? 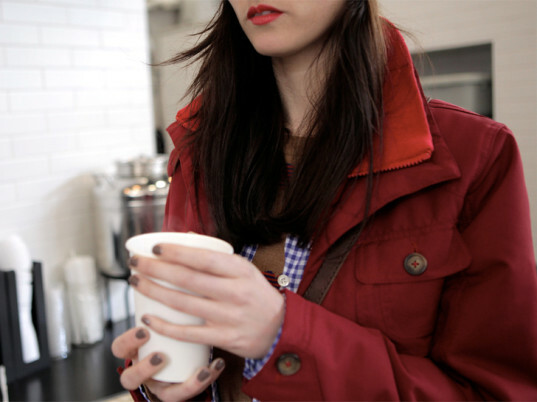 With every purchase, Swellas provides a jacket to a person in need. Crafted from Ventile, a densely woven cotton fabric used to make flight suits in the 1940s, and padded with wool, Howies’ “Malgywn” is a “naturally technical” jacket that promises breathable, weatherproof comfort in any climate. Bonus: Unlike most manmade fabrics, Ventile is easily repaired with needle and thread. Anticipate the unexpected with “Plot-Twist” parka. Made from a blend of organic cotton, hemp, and recycled polyester, the jacket offers the romance of classic Scottish tweed without the scratchy tradeoff. Pledge your allegiance to “made in the U.S.A.” with Juleselin’s “Mitchell” parka. Ethically produced in San Francisco using 100 percent organic cotton, each topper features an oversized hood, exposed zippers, and a drawstring hem for visual interest. Dubbed by Vaute as the “mother of winter coats,” the “Lincoln” will bundle you in recycled Primaloft insulation and weather-resistant recycled ripstop nylon. Designed in Brooklyn, the vegan-friendly topper is made in Chicago, where folks really know their winter wear. Polar vortex, schmolar vortex; cocoon yourself in warmth with Patagonia’s “Downtown Loft”. Wrapped in water-repellant polyester—and insulated with third-party-verified non-live-plucked duck down—this is all the sheath you need against the elements. Eileen’s Fisher’s metallic puffer is one cool customer: It’s constructed from recycled nylon, derived in part from repurposed fishing nets. From Timberland’s “Earthkeepers” line comes a down jacket that combines the water resistance of recycled polyester with the toasty comfort of 550-fill duck down. 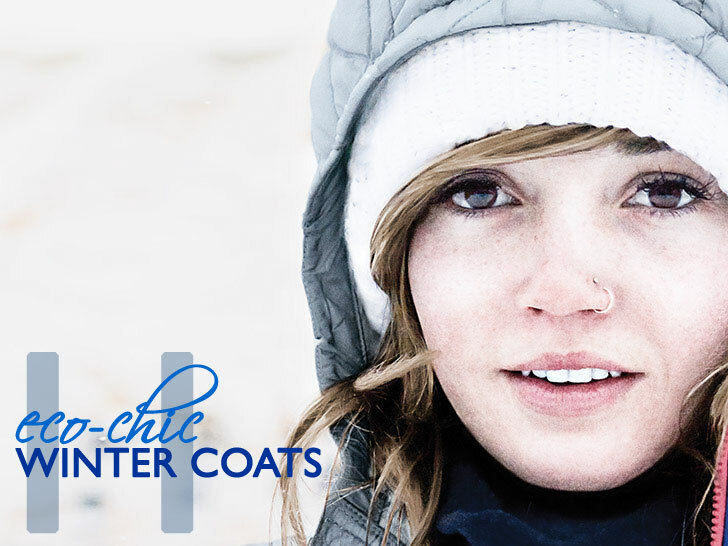 Love the Swellas coat and their commitment to provide others with necessary clothing. I also found Nau to have lots of great options for outdoor clothing. Almost completely unimpressed. I remember wearing nylon down-filled coats from the first time around (and polyester's even worse). I was so hot on the subway, I had to REMOVE my stupid, Michelin-man coat or be drenched in sweat. OTOH, it was NOT warm enough for outside temperatures. I love down for a sleeping bag, but no thanks to wearing one on the street. 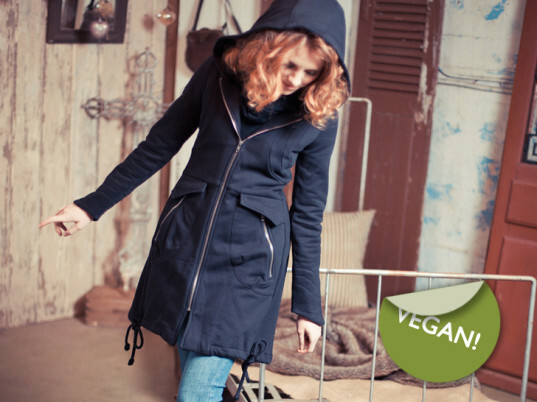 The Ventile coat looks like a winner, and many of the designs are appealing. I'll stick to my nice, warm, beautiful vintage -- the cashmere swing coat with silk lining, the furs that are older than I am -- and keep cozy and warm, without spending. Yes, occasionally, my fellow vegans tongue-lash me for wearing fur (and leather boots). I reply that I've been eating at the bottom of the food chain for as long as they've been alive, don't drive, live four flights up in a building well over a hundred years old, buy electricity from a wind ESCO that donates to progressive causes, etc. If they can't handle my wearing very old fur, they can feel free to unfriend me. I don't live in Hawaii, I live in NYC. Lauded by People for Ethical Treatment Treatment of Animals for its cruelty-free spin on insulation, The North Face's "Thermoball" collection uses a system of synthetics to provide the equivalent warmth of 600-fill goose down. 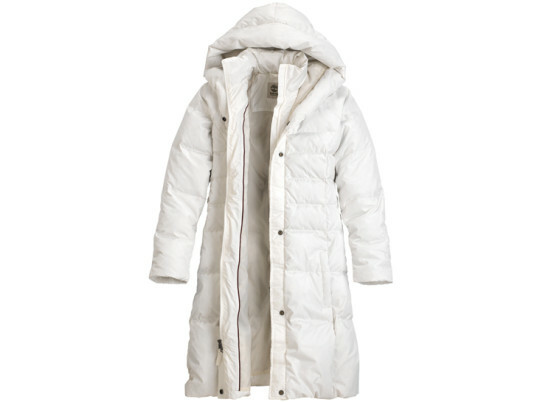 The quilted parka's mid-thigh length is built for tundra-trudging, while the cinched drawcord makes for a flattering fit. Winter warriors rejoice! 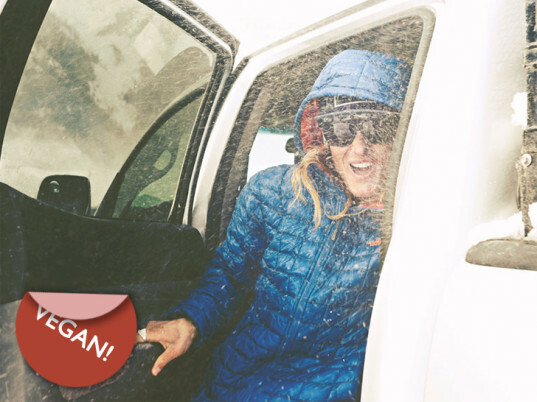 Ecoalf's down-insulated "Uma" coat checks all your chill-chasing boxes. It even wins points with Ma Nature: Each garment comprises the equivalent of 150 recycled plastic bottles. 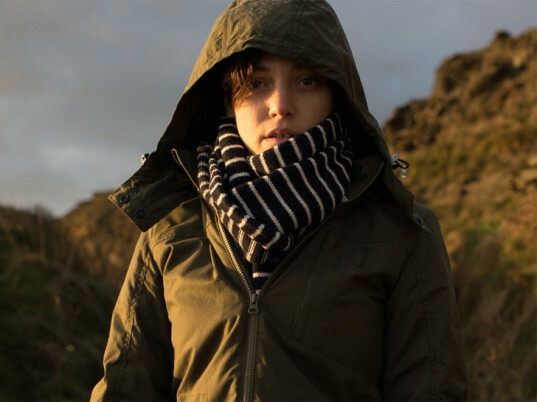 Derived from fabrics that would otherwise be discarded, the "Berryessa" jacket by Swellas features a full liner, a weather-resistant outer shell, and medium-weight fill to keep you extra-snug. Even better? With every purchase, Swellas provides a jacket to a person in need. Crafted from Ventile, a densely woven cotton fabric used to make flight suits in the 1940s, and padded with wool, Howies' "Malgywn" is a "naturally technical" jacket that promises breathable, weatherproof comfort in any climate. Bonus: Unlike most manmade fabrics, Ventile is easily repaired with needle and thread. Pledge your allegiance to "made in the U.S.A." with Juleselin's "Mitchell" parka. Ethically produced in San Francisco using 100 percent organic cotton, each topper features an oversized hood, exposed zippers, and a drawstring hem for visual interest. Dubbed by Vaute as the "mother of winter coats," the "Lincoln" will bundle you in recycled Primaloft insulation and weather-resistant recycled ripstop nylon. Designed in Brooklyn, the vegan-friendly topper is made in Chicago, where folks really know their winter wear. Polar vortex, schmolar vortex; cocoon yourself in warmth with Patagonia's "Downtown Loft". Wrapped in water-repellant polyester—and insulated with third-party-verified non-live-plucked duck down—this is all the sheath you need against the elements. 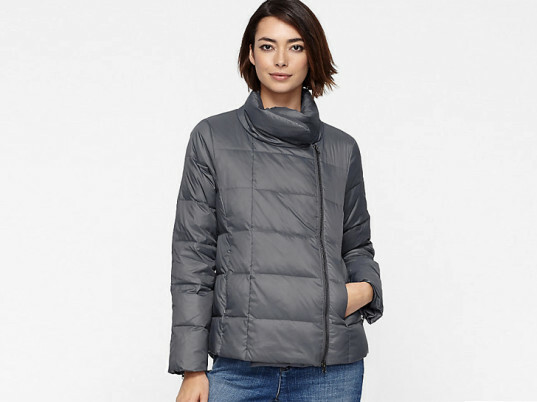 Eileen's Fisher's metallic puffer is one cool customer: It's constructed from recycled nylon, derived in part from repurposed fishing nets. From Timberland's "Earthkeepers" line comes a down jacket that combines the water resistance of recycled polyester with the toasty comfort of 550-fill duck down.